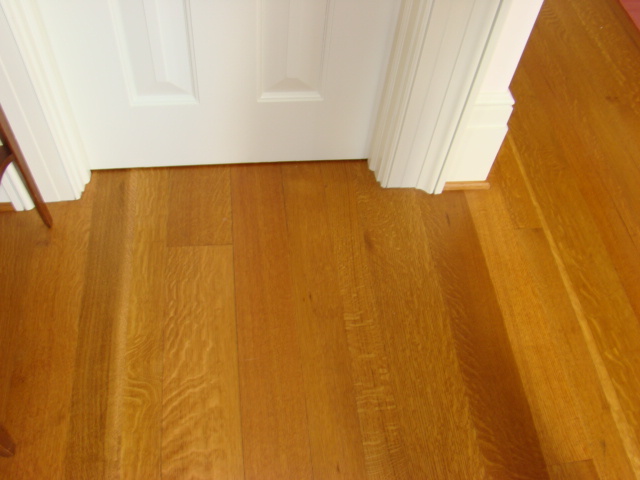 Quarter Sawn White Oak flooring is a unique and durable hardwood flooring choise. Quarter sawn is the way the sawmill saws the log. Quarter sawn is more durable than plane sawn lumber and it is more stable than plane sawn lumber. Quarter sawn lumber lumber takes longer to saw and longer to dry and that is why it is more expensive than plane sawn lumber. Random width 3,4,5 and 6" wide. 18"-12 ft long is our standard, but we can fill any order up to 11" wide!